Design and buy your own personalized static clings for windows and mirrors. These non-adhesive clings will stick to just about anything that has a high gloss surface without adhesive. Since our clings are made for interior application only you will want to select Face Cling or Back Cling after setting up your design. Front facing static clings are for outside viewing and back facing static clings are for viewing from the inside. Directions: Select from any of the customized shapes to begin designing your unique static cling. Once you find the shape you like, you will be given options for color and size. Design and customize your new static cling by uploading pictures, adding text, and searching through our clip art for a style unique to only you. 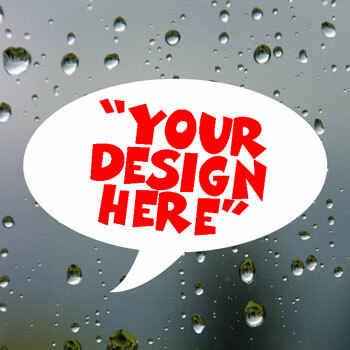 Use our Static Cling Design Templates if you need help getting started with your design.